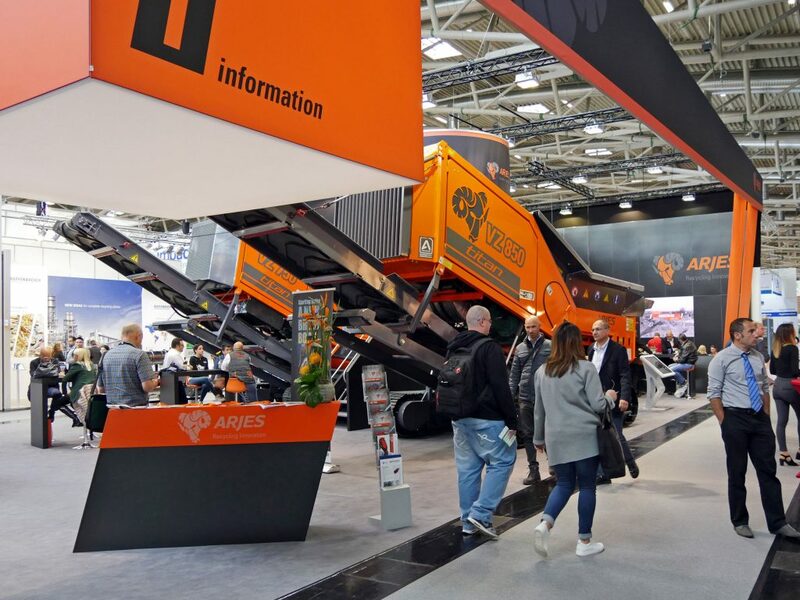 News & Media > News > IFAT 2018 – Meet the Next Generation! 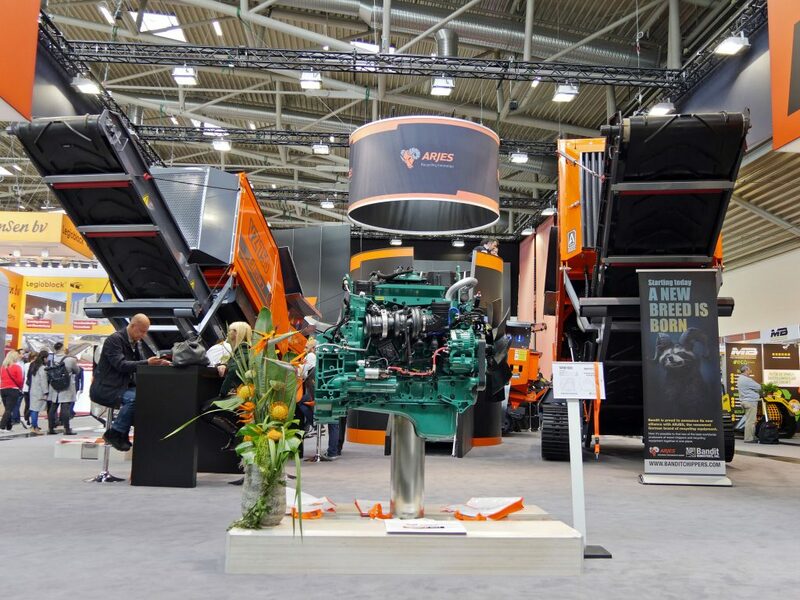 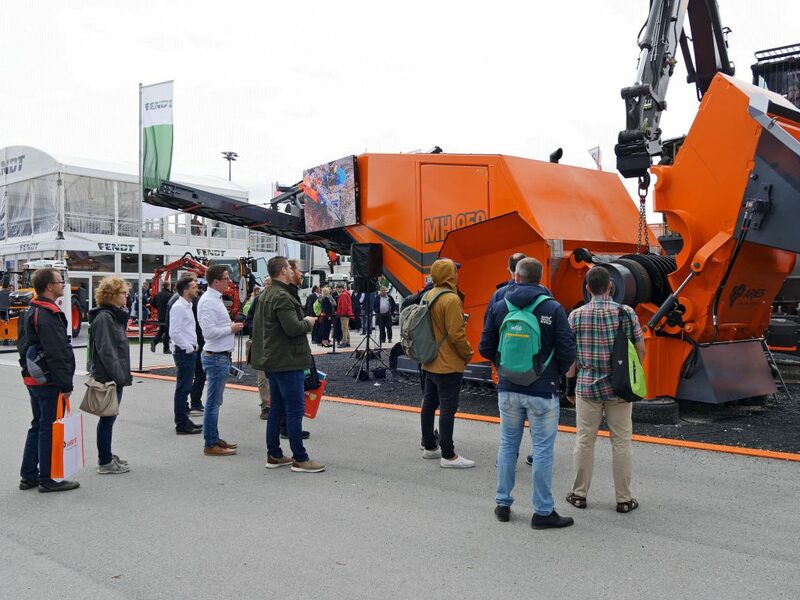 For five days at the world’s largest environmental technology trade fair IFAT in Munich, everything revolved around the topics of water, sewage, waste and raw materials management. 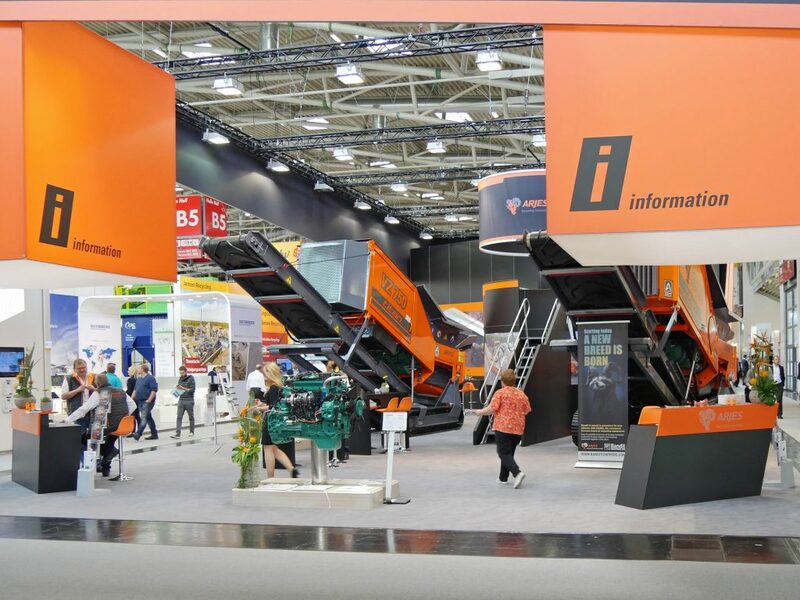 From May 14 to May 18, 2018 more than 141,000 trade visitors from over 160 countries came to Munich’s exhibition site (2016: 136,885 visitors). 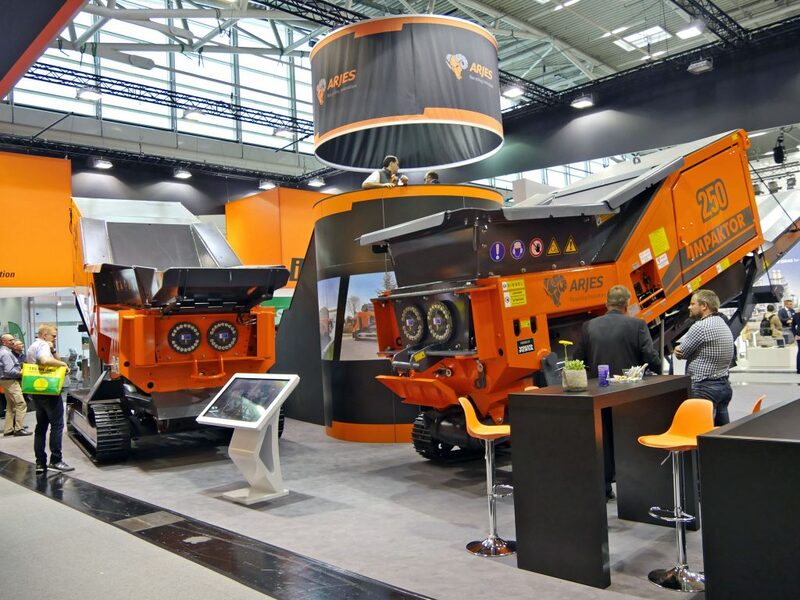 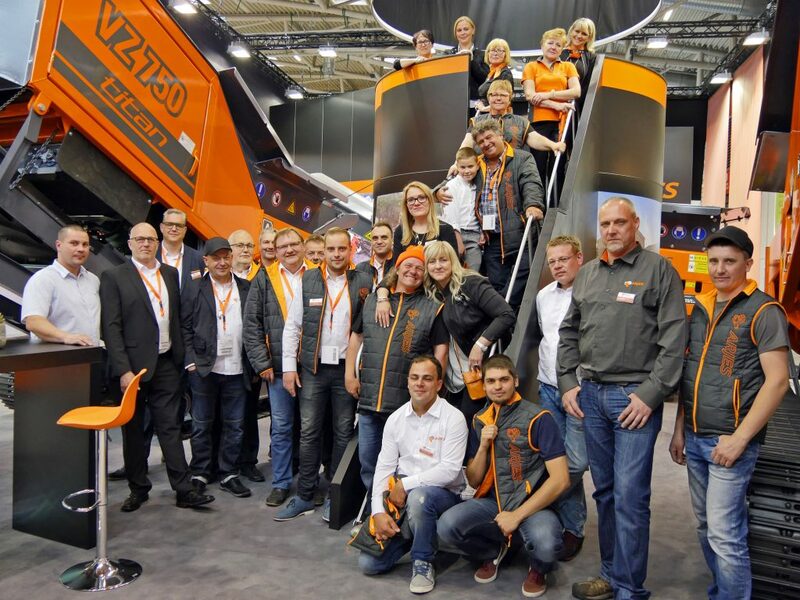 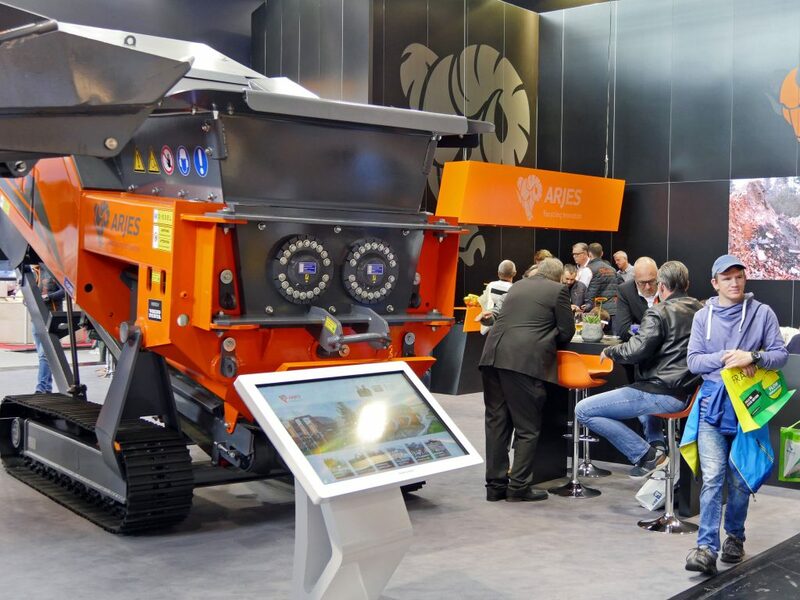 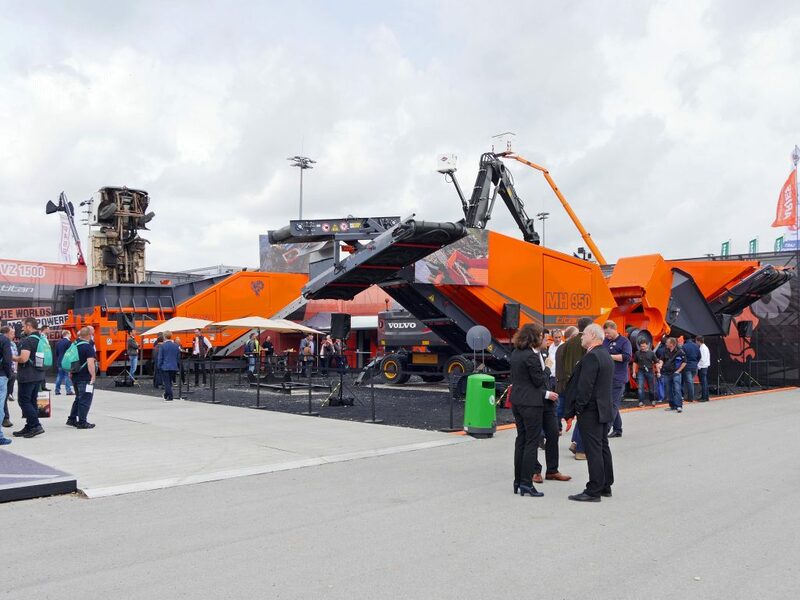 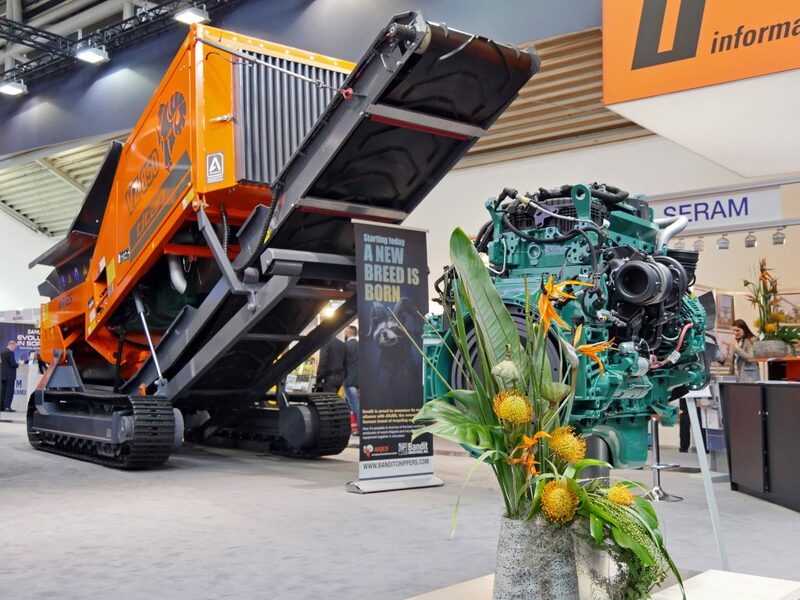 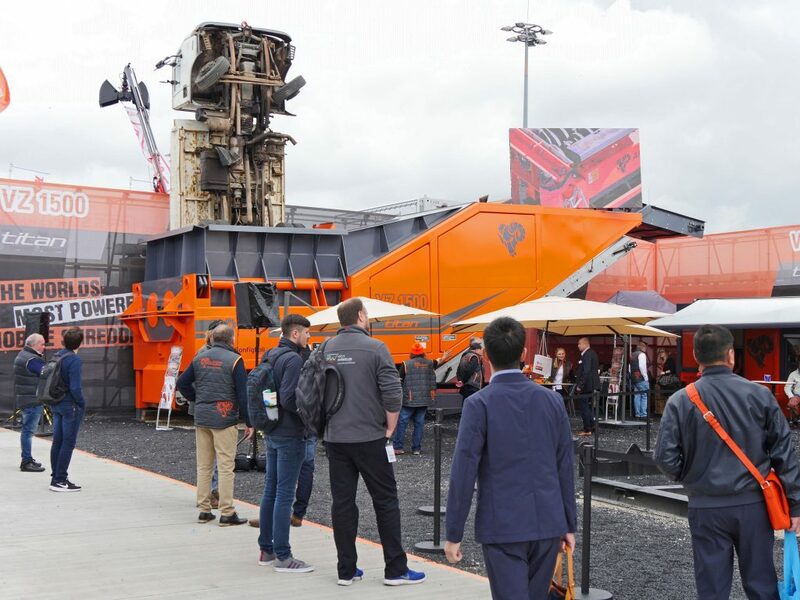 With the new TITAN series (VZ 750, VZ 850, VZ 950, VZ 1500 and MH 950) and the stone crusher impactor 250 ARJES presented innovative solutions for versatile application examples in the field of recycling technology. 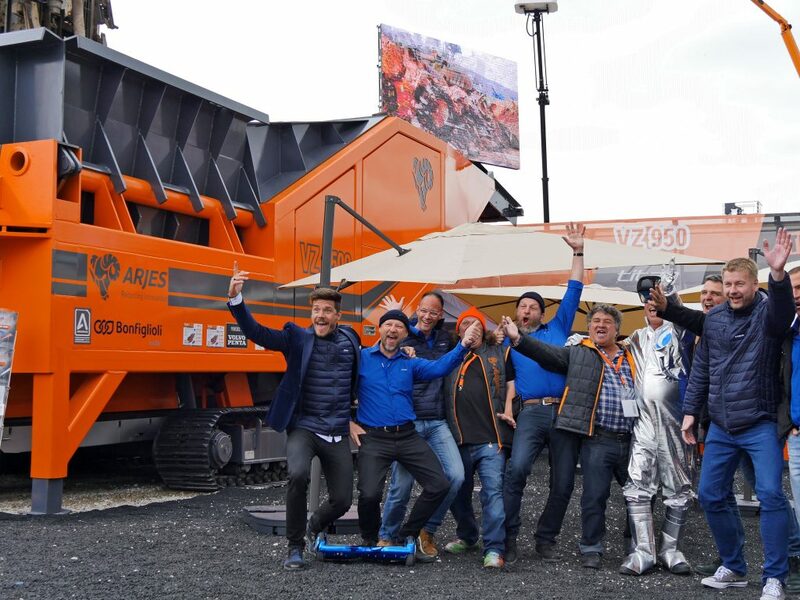 As special guests, the brothers Manfred & Uwe Ludolf, from the well-known scrap yard documentary soap “Ludolf – Alles andere ist Schrott”, provided a lot of fun and informative conversations with the visitors. 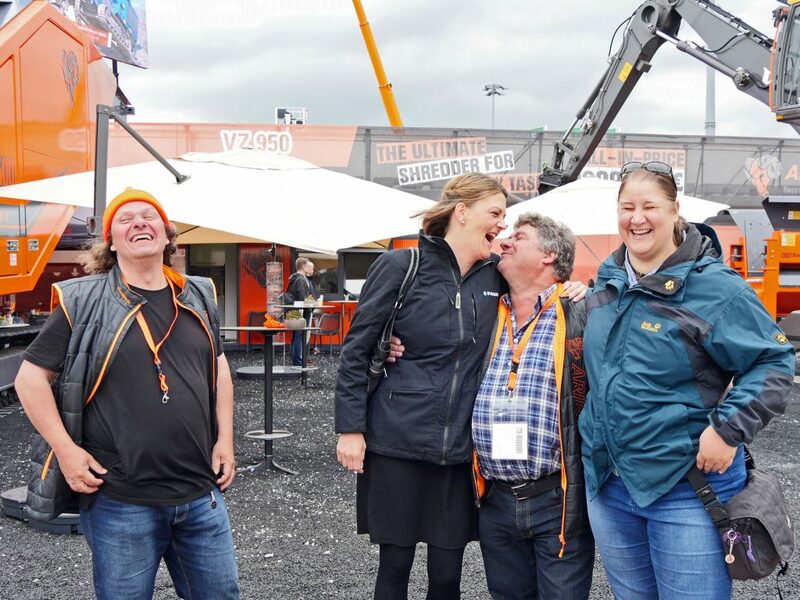 One or the other photo with the two as well as an autograph card were not to be missed. 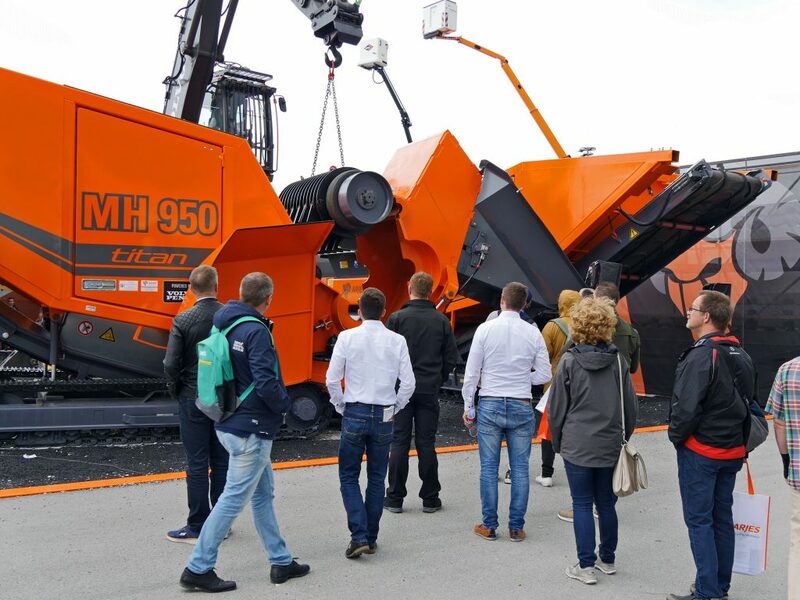 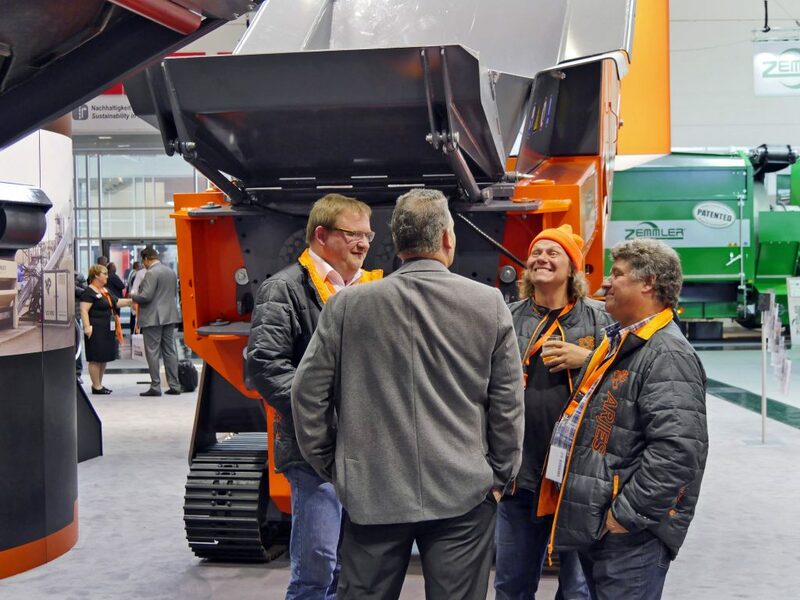 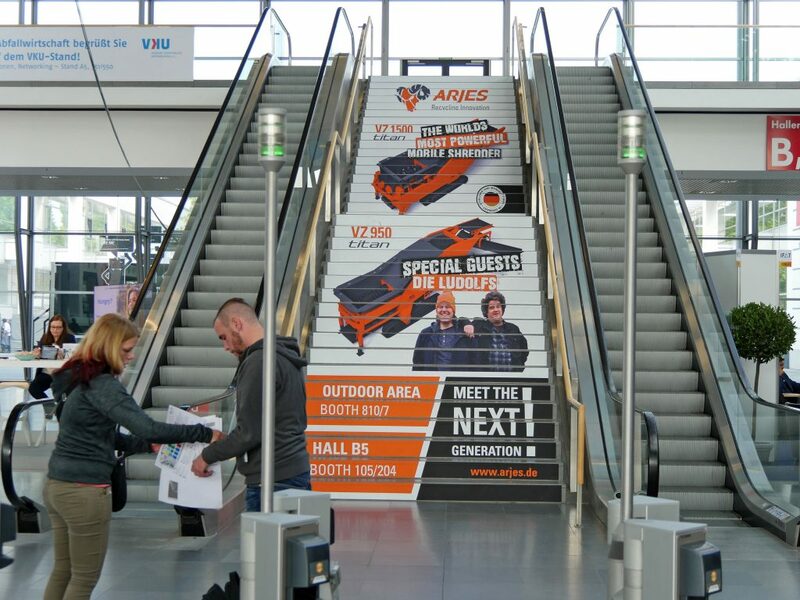 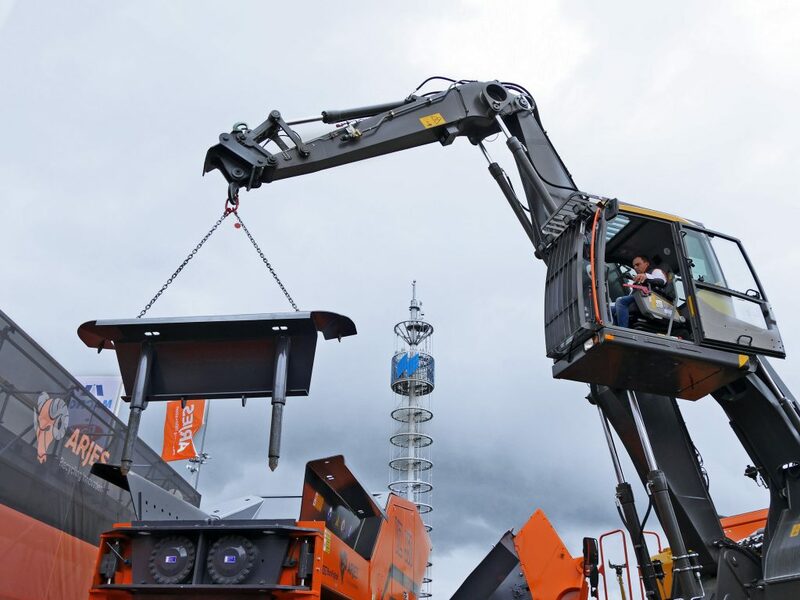 In the outdoor area, interested trade fair visitors were able to see live demonstrations of the quick-change shaft system using the VZ 950 TITAN as an example. 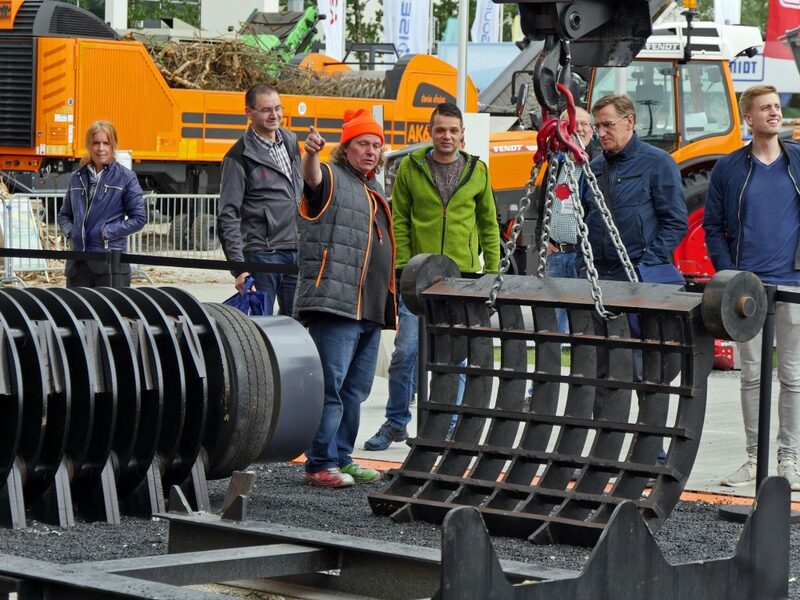 Within minutes, a complete installation and removal of the shaft pair is now possible without problems – whether for reconditioning or for changing the shaft profile to adapt to other materials. 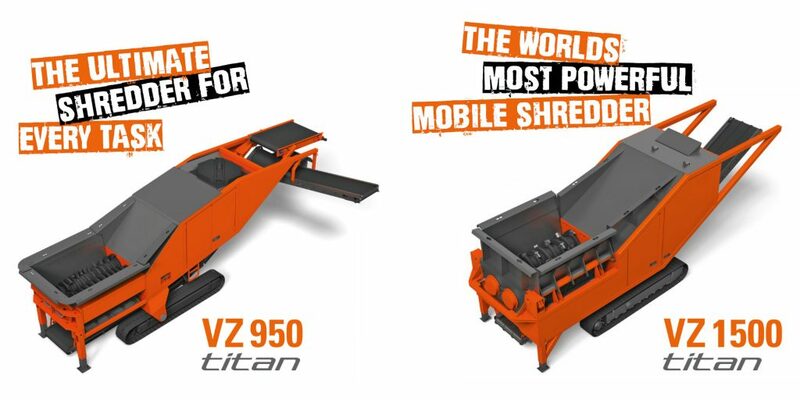 The new MH 950 TITAN hammer mill also features such a quick-change rotor system. 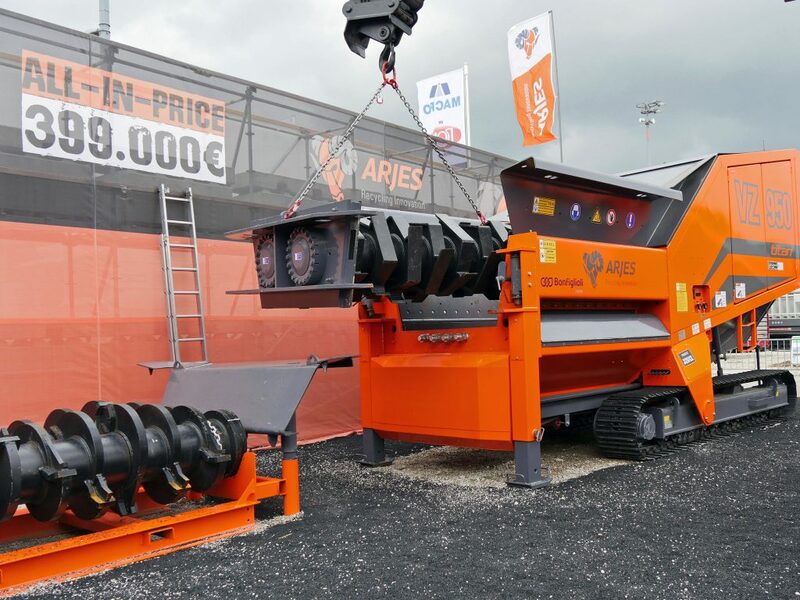 This is equipped with low-wear, multi-use hammers and thus impresses with flexible and uninterrupted operation. 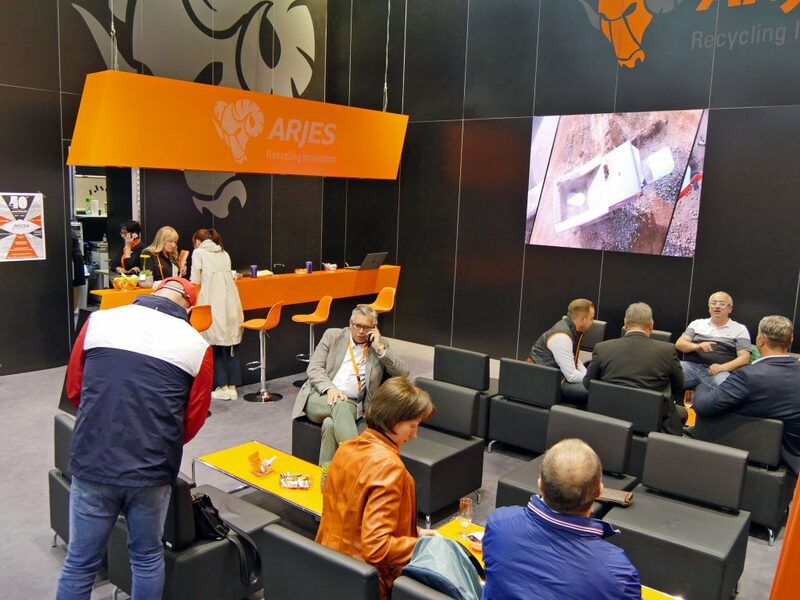 The whole ARJES team would like to thank all visitors at our booths. 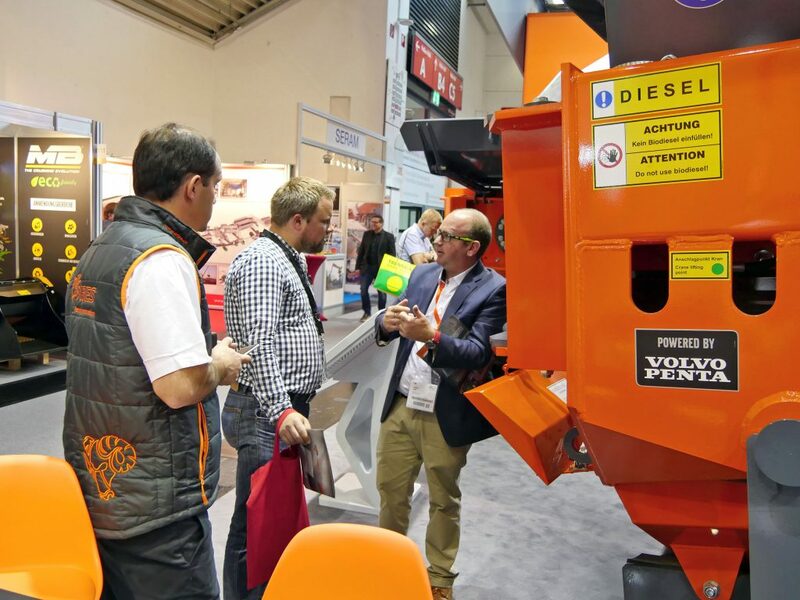 The many discussions with our customers and dealers have once again proven that we are on the right path into the future with our vision of economical shredding solutions. 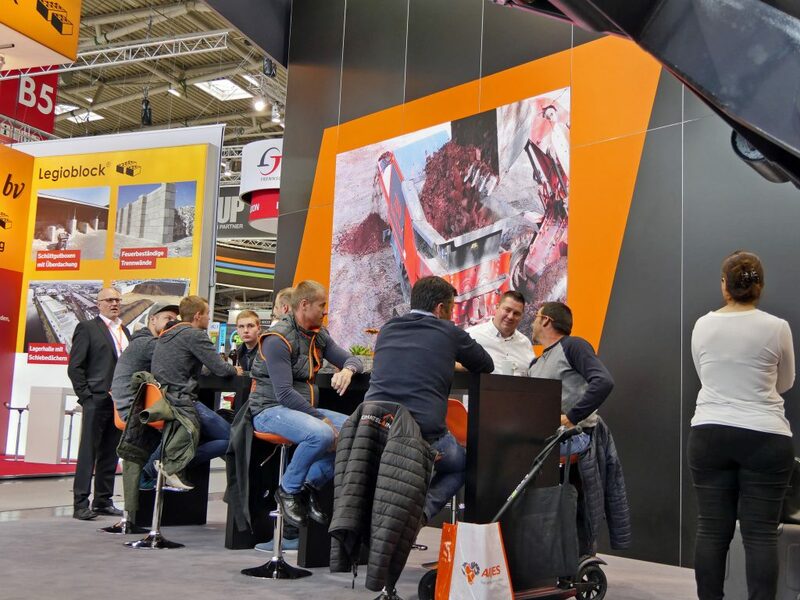   We would be pleased to welcome you again at one of our next events.